25/04/2014 Exercise increases a number of neurotransmitters in the brain, including dopamine which plays a major role in reward-motivated behaviour. Serotonin levels are also elevated following physical exercise, with aerobic activity such as running or cycling particularly good at elevating the serotonin synthesis necessary for learning and memory. Glutamate, the most common brain neurotransmitter, also increases following physical exercise and may have links to the formation of new memories. According to a 2011 study by McMorris et al. in Physiology and Behaviour, 30 minutes of exercise are enough to enhance working memory and speed up the brain. While the study found a decrease in cognitive accuracy following exercise, this was insignificant compared to the increase in brain speed observed. While somewhat controversial, other studies have also linked exercise with enhanced long-term memory, including a recent 2013 study by Schmidt-Kassow et al. in PLoS One. Exercise geneticist Frank Booth, Ph.D., of the University of Missouri, is part of a research group looking into the long term effects of exercise on the brain. "What we're finding is that physical activity is linked to the maturing of neural networks in the brain," said Booth to The Huffington Post, with other studies also highlighting how exercise stimulates new neuronal connections over time. 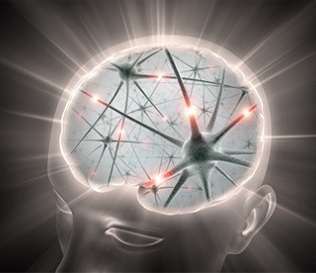 Brain plasticity is the ability of the brain to form new neuronal connections, with exercise found to increase the factors necessary for the survival, differentiation, and plasticity of neurons over time. Neuroimaging studies have revealed a correlation between physical activity and an increase in grey matter volume associated with memory and encoding processes. Not only will your brain work better just after you exercise, you are also likely to benefit in the years and decades ahead. It's not all about memory and cognition, however, with exercise also found to influence our psychological state of mind. Physical exercise may serve to reduce short term stress levels, by relaxing muscles, promoting happiness, and reducing feelings of frustration. A number of studies have also found links between exercise and reduced anxiety and depression levels. In a 2013 review of 39 different studies by the Cochrane Depression, Anxiety and Neurosis Group, exercise was found to help fight depression. Other studies have linked regular exercise with improved self control, increased executive functioning, and better sleep patterns among other benefits. If you still need an excuse, exercise offers a natural high to those who make the effort, with endorphins released by the pituitary gland often promoting feelings of elation and joy. Whether you enjoy visiting the gym, running on the beach, or cycling to work, the benefits of exercise are impossible to ignore.